So one of the things I’m known for amongst my family & friends is my level of organization. Let’s just say, my label maker has a label. Sometimes my sister will come to visit and ask me for random things, like masking tape, to try to catch something that doesn’t have a place in my home….that or just to poke fun of me. So I’d reply, “Downstairs closet, on the black shelf, two down from the top in the plastic Rubbermaid container labelled, adhesives”. A-type? Maybe. In addition to organizing, I also happen to love interior decorating, so to me there is nothing better than a fabulous find that combines organization, function, value and style with a twist of green! 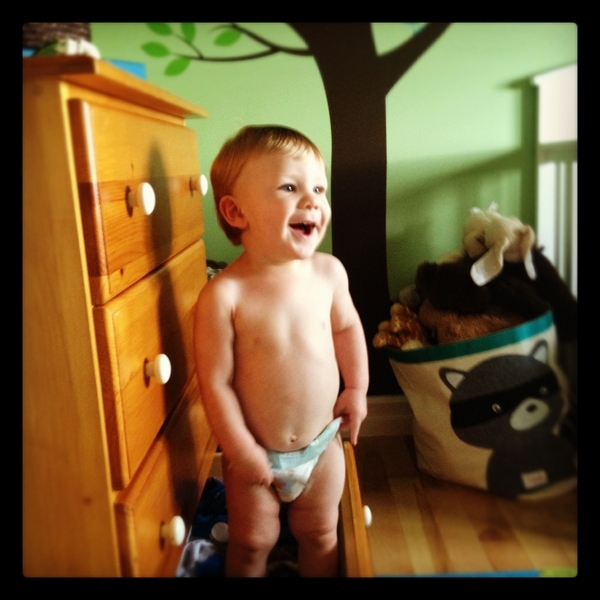 The 3 Sprouts Storage bin is truly multipurpose! It’s made of quality organic cotton canvas so it’s lightweight and has handles for easy portability. It’s lined with a waterproof coating so it would make for a stylish hamper. It’s huge capacity makes it an ideal choice for storing chunky toys. 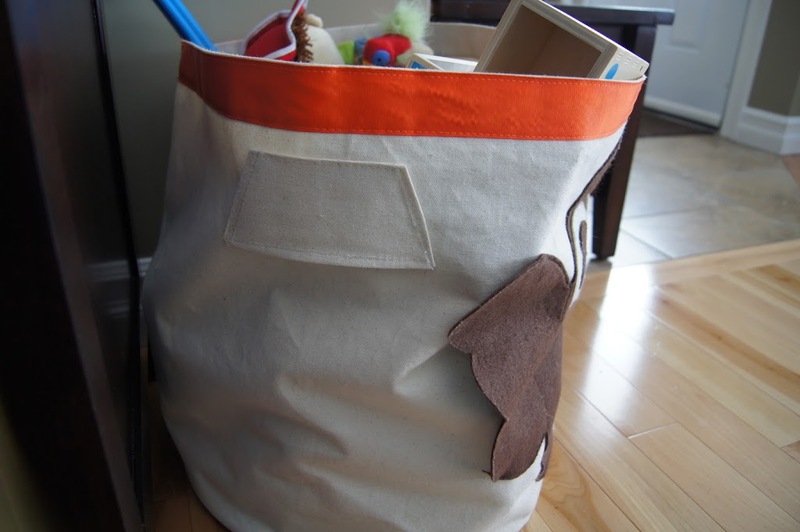 It’s collapsible so when your toddler is yanking out the toys, it will fold down for easy access, which also lends to its ability to store flat when not in use. All 3 sprouts products have unique modern looking animals that appeal both to kids and mommies. The selection and range of colors and animals make it easy to find a fit with the decor in any room. We have the raccoon storage bin holding stuffed animals in Chase’s forest themed nursery. 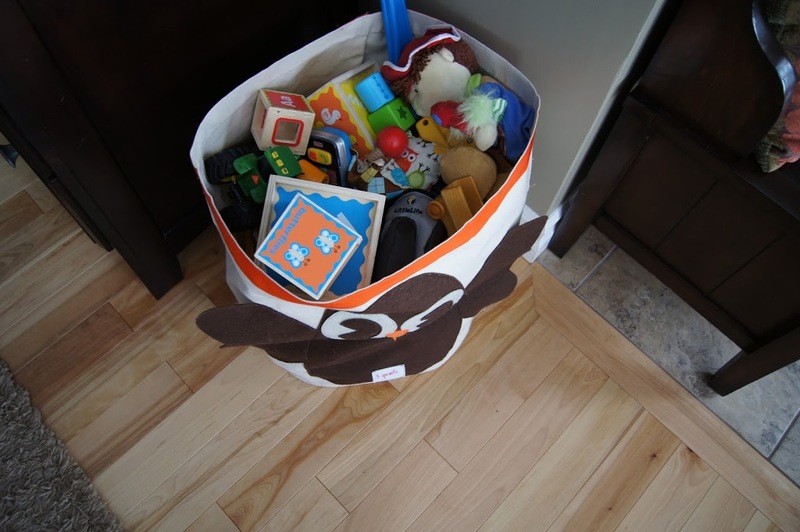 The owl storage bin stores chunky toys in our living room. The 3 Sprouts Crocodile wall organizer is hung off the back of a door in our playroom. We use it to store coloring books, crayons, paints and construction paper. We gave the Zebra storage bin as a gift to friend who has a safari animal theme and one of my besties got the pink elephant for her girl. There really is a selection to accommodate any room and any taste. What a fantastic review of a really great product. I just love how much you can fit into the boxes.